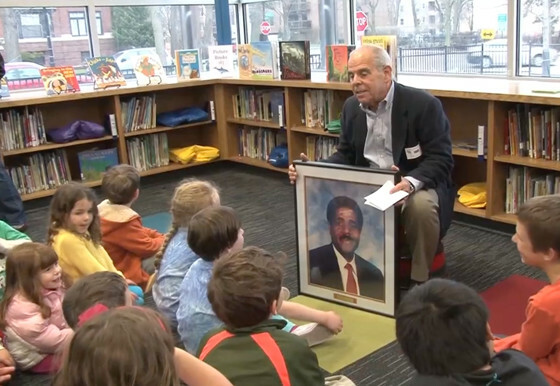 The mission of the Warren W. “Billy” Cherry Scholarship, named in memory of a much loved and respected Evanston educator, is to perpetuate his acceptance of all people, his commitment to the highest standards of educational excellence and his energetic dedication to enriching the children and institutions of Evanston. The Cherry Scholarship was established in 1993, three years after Warren Cherry’s untimely death. If you have 27 minutes, please view Susan Hope Engel’s The Cherry Story video. It illuminates the life of a special man and the impact he has had on one community and the lives of thousands of students. Warren was a charismatic educator and community leader. He lived the Golden Rule and worked relentlessly to create equity and balance in services and access. He was widely known and respected. His impact was legendary. Beloved by all, including his family (a wife and two children), his life was cut dramatically short by cancer when he died in 1990. A small group of friends, colleagues, educators and fans (yes, fans) established the Warren “Billy” Cherry Scholarship Fund in 1993. Today, the fund has made financing a college education a little easier for over 164 Evanston Township High School graduates. Recently, Dr. Eric Witherspoon, Superintendent of Evanston Township High School, shared the following statement with the ETHS student body following the 2016 presidential election. 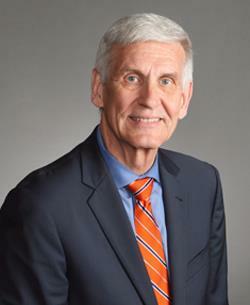 We believe that his message is an eloquent statement of the values that underlie the Warren Cherry Scholarship Fund as well as those that are embodied by ETHS. Once in a while it’s important that we pause and reflect on who we are and reaffirm our appreciation for one another. This morning I want to remind all of you that ETHS is a safe and welcoming place for you. You attend a school where we not only respect differences, we embrace our diversity. We embrace one another’s race and ethnicity. We embrace one another’s family background, heritage, language and culture. We embrace one another’s religion and your right to your own personal customs and beliefs. We embrace your sexual orientation and your gender identity. We embrace your special needs. We embrace you and value you as individual human beings. Never forget: you belong here at ETHS—each and every one of you. Today, I urge you to be kind and caring to one another. Redouble your support for one another. And even though we cannot always control what is going on in the larger world around us, we can define our own school, our own community. Let’s make this school year a year of strengthening our sense of community here at ETHS, and let’s reaffirm a community legacy for all the students today and for those who will follow you at ETHS. The sun is shining today. Your school is a nurturing place for you to learn and grow. Your futures are bright. Let’s protect and take care of each other. Everything is going to be okay. I love all of you. Fill your hearts with love for each other. And no matter what, remember, even today, that it is a great day to be a Wildkit.